Every practitioner knows that trauma is a part of many problems. But very few know to what extent, and more importantly, how to treat trauma quickly. And if you treat people with PTSD (post traumatic stress disorder) or severe phobias, you'll know these are among the worst things to live with. Depression, anxiety conditions, obsessive thoughts, OCD, addictions and substance abuse - all these problems and more are often 'powered' by hidden trauma. So when you've got a client whose depression you just can't lift, an addiction that just won't shift, or anxiety that keeps coming back no matter what you do, it's worth considering that a trauma may be driving it. And then, when you know trauma is present, what do you do about it? using anti-anxiety or anti-depression drugs for years with no improvements. And of course using cognitive therapy to treat trauma is nigh-on impossible - that's like trying to tether a raging bull with sewing thread. So what treatment does work for trauma? To understand this, we need to first see exactly what trauma is. So let's get back to basics. What exactly is happening when someone has a traumatic flashback? 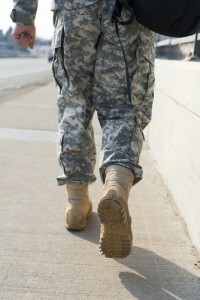 For example, a soldier who has been in a war zone is walking down the street and a car backfires. Instantly he feels as if he's back in the front line and reacts as if a bomb has just gone off nearby. But he knows he's on a normal street, so what is going on? It's as if he never took off his combats. His brain has 'pattern matched' the backfire to being similar to the sound of gunfire or explosions and triggered the 'fight or flight' response in him. He is flooded with adrenaline and his overwhelming instinct is to run. In his brain there is what we call a 'global pattern' for loud bangs, created by the focusing effect of the terror he experienced in battle. This is very different to the pattern you and I have for it, which will make us jump but once our brain figures out what caused the bang, it steps down the alert procedure. However, this global pattern in the ex-soldier's brain has no context to it (in other words, it doesn't matter where he is when the sound occurs, or what else is going on around him). His brain has decided that this sound is so closely linked to potential death that it warrants being a global pattern that goes off at the slightest provocation. So our job as a practitioner is to turn this global pattern back into a contextualized one. Or in other words, to stop his brain setting off the alarm when he hears a bang. We need the soldier to be able to hear a car backfire as just that. But how can we do this when traumatic memories are so powerful? Anyone who has ever treated a traumatized person knows that even talking about the traumatic incident can catapult them into a highly emotional state. And once they're highly emotional again, you can do nothing until they calm down. So this tells us that we have to somehow approach the memory without them becoming emotional. And this is where the Rewind Technique comes in. Although it seems almost too simple, the Rewind is a precision instrument. 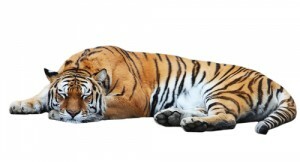 When you're dealing with a traumatic memory, you need to approach it carefully and quietly, like tiptoeing up to a sleeping tiger. The structure of the Rewind and the language used is precisely designed to hold the client in a specific relationship to the memory so that it can be re-processed by the technique and contextualized. 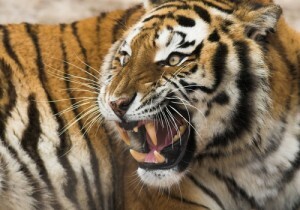 This way, as we explained above, it can stop being a global pattern firing off alarms all over the place, so there are no roaring tigers in your therapy session. And the beautiful thing about the Rewind Technique is that you don't even need to know any detail about the traumatic memory - so it is highly respectful to the client. My company Uncommon Knowledge has been training practitioners in how to use the Rewind Technique for many years. We did this for 10 years as part of our professional level diploma course taught from a university in the UK, and subsequently through our online training course. Our online course is recognized by the Red Poppy Company, an organization dedicated to enabling traumatized war veterans to get access to fast, effective treatment. 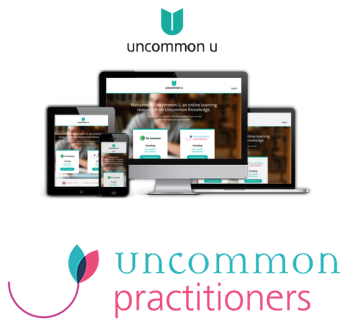 We have created a brand new format for the course, a combination of video, live calls and home study materials in a lovely online space called Uncommon U which we created specifically to make online learning easy and enjoyable. Throughout the course you'll be able to converse with your fellow delegates, discuss cases with them or myself, review and repeat any material as you feel necessary, and ask questions on the live calls. (If you prefer you can email in your questions and I'll address them on the calls). You've already heard just what a lifesaver the Rewind Technique is. Which is why I am so keen to get as many practitioners trained in it as possible. And I believe that once you've completed the course, you'll feel exactly the same. When you get that first call from a client whose traumatic symptoms have lifted, you'll know just what I mean. 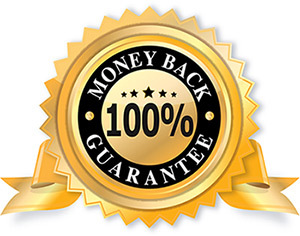 But I understand that this is a serious investment, and you need to know that it is going to be worth it, so the only thing I can really do to take the pressure off you is give you this guarantee. I promise you will be astonished at the results you get treating your next 3 traumatized clients after completing the course. And that they will feel much better after a single session. You are the judge. If you don't agree this is the case, simply ask and I'll refund you. You see, I really want as many practitioners to know the Rewind Technique as possible. PTSD and phobias are terrible things to live with, and it is so unnecessary. We can join together to contribute to doing something about this terrible loss of potential. I hope this gives you the peace of mind you need to go ahead and book your place now. What's included in the Rewind Technique course? Instant access to Uncommon U - read course materials, watch videos and gain access to the live calls, plus private commenting areas where you can discuss the course, clients and ideas with myself and other course delegates. Comprehensive course notes - 91 pages in book format, sent to you by post if you buy the Digital & Physical option and also available online. Full word-by-word Rewind Technique Script - providing the full Rewind Technique structure for a client session, which can be modified as your confidence and experience of the technique grows with each client. Checklist before practise - the essentials pared down for a quick memory boost. Live Q&A calls with Mark Tyrrell where you can ask questions, either live or by email. We also record these for you to download in case you can't make the live call, and they're available as mp3 downloads the following day. Your client questions answered - the collective Uncommon Knowledge brain will work on your single most pressing trauma client problem for you, either in Uncommon U or in private by email. Certificate of completion - On successful completion of the course, you will receive a personalized certificate. Live Snake Phobia Cure DVD (value $75) - Watch Mark Tyrrell treat a man with a snake phobia using the Rewind Technique. So you've done the course and you're ready to quickly treat trauma and phobias. You've had a few clients and you're amazed at the success you've had. But how do you tell the world (or, at least, your community) that you can successfully treat trauma and phobias? Well, we're here to help. 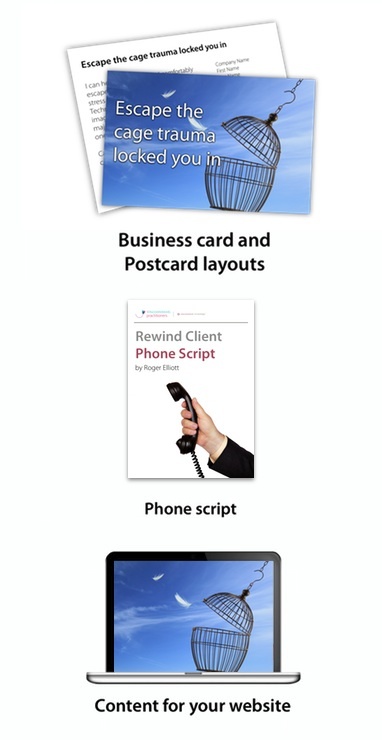 As a bonus, everyone who does the Rewind Technique course, will receive a FREE Client Attractor Pack. Attract, convince and convert clients better than any trauma treatment practitioner in your area. The Rewind Technique course starts immediately. During this time, you can take the course at your own pace, although we do ask you to reach certain stages in time for the Q&A calls. Do I need to know hypnosis to take the course? To use the Rewind, you will need some experience of using your voice to relax your clients. I believe this is an invaluable skill because relaxation is so valuable in treating anxiety-based conditions. So to help those of you who weren't taught voice-based relaxation as part of your training, you can get our Uncommon Hypnotherapy course for $100 off as part of your course booking. Just finished and passed the Rewind Technique course. I used the technique on my first client today and got amazing results. My client is German, married to an American, living in the United States. Since her childhood, she has been almost phobic about writing in public, afraid that others will know she's not from here and think her strange. We did the Rewind Technique about her fear and in one session her compulsive ruminating about writing is gone. When she imagines writing in front of someone she now reports to feel calm and in control. Also received my pocketwatch. I love it and my clients think it's so funny to be hanging next to my chair. They all seem to know the significance! Thank you so much for the excellent trainings and fast support! - Robin Aston, certified mediator, live coach, and hypnotherapist, Maine, USA. I really enjoyed the rewind course and all the extra information that was included. I liked the information presented and the general approach as well as the rewind technique. I am getting some results with the primal needs assessment and some of the other information presented along with the course. I think it will be helpful for a lot more than just clients who are appropriate for the rewind technique. - Margaret Culliton, Family Physician, Corner Brook, NL, Canada. I already knew about this type of technique from my NLP days and had used it previously with mixed results, and at the end of the day I was not happy with it and discounted it as useful. One of my supervisees did your course but was reluctant to use it as she felt too unskilled. It piqued my interest to find out more about it. I am delighted that I learnt the technique and have had some effective results thus far with my clients. One particular client's issue was one of distrust of her partner and was complicated by other issues of his own that he was seeing a separate counsellor for. Despite our best efforts in counselling, she could not 'shake off' the old distrust that would get frequently triggered by his behaviour. I decided that the Rewind Technique could be a suitable fit for her. She accessed three very different memories from where her feelings of distrust of men exhibiting certain types of behaviour had arisen from. We did the SUD's at the beginning of the session but I forgot to do it at the end. However, her relief and demeanour at the end of the session were so markedly different and relaxed, it seemed superfluous. Next time. I think it is safe, effective and respectful to the client. I was nervous that the 3 memories process would be perhaps too repetitious, however my clients have said they liked the predictability that is built up for them over the 3 memories, which I think builds a kind of mastery of confidence and hopeful expectation for their best results. I feel more skilled and supported in using this technique with my clients. The Rewind course from Uncommon Knowledge was well worth the cost. It has increased the value I now offer my trauma clients. I can now provide trauma treatment with increased speed of relief and ease their effort in the process. The second client with whom I used Rewind had come into see me due to a sexual assault from about 4 years earlier. She knew that she needed to work on this issue but just to mention that she had "something from my past" caused her to shut down in terror with her fists pushed into her mouth and her eyes flung wide open. So we had been moving very gently working to establish safety for her. When I finally felt comfortable using Rewind (and I still used the script), we rewound her sexual assault successfully and she sat amazed, and dazed at the ease of the process, in my office. She is very grateful that this is no longer a living terror in her daily life and I am grateful for such a successful tool to use with my clients. - Lura Carey, Clinical Mental Health Counselor, Registered Nurse, Pleasant Grove, Utah. Testimonials like this literally lift your heart. We want to make it as easy as possible for you to learn the Rewind Technique. Many of our delegates are novices with computers yet perfectly comfortable within our online training area Uncommon U. You get immediate access to the course materials, including a welcome video from myself as course leader, and access to the comments section where you can introduce yourself to your fellow delegates. You can begin Session 1 immediately, during which you learn about the cause and treatment of PTSD and phobic states. You listen to the audio lecture for the session and download the materials. You move on to Session 2, after which there is a short test. Once that is complete, you move on to Session 3 and complete the test for that. You dial in for the first Q&A call and get to 'meet' other practitioners on the course or you wait until after the call and download the audio to listen to at your convenience. You continue through the course in this fashion until you have completed all 3 Session tests and the Q&A calls. You continue to have access to the course materials online. These testimonials from our previous delegates expand fully on how the Rewind Technique has been applied in practice, from war veterans, victims of emotional, sexual or physical abuse, and phobias of many different flavours. Thank you Mark, your work is helping a lot of people. In different parts of the world. I absolutely enjoyed listening to the Rewind Technique in a 'listen to session 2 lecture'. I had quite a traumatic experience of not passing my driving test for the second time and it felt so bad after both especially second experience that I felt I needed to try this technique on myself. While Mark was talking about imagining having breakfast I actually had the test in my mind. I started to cry immediately on a first fast forward circle as it felt so real and hurtful/disappointing and on the rewind part I felt so dramatically different: light, strong and confident after. It felt like a miracle in my head has happened and made me fully believe in the magic qualities of this technique, which I now use in my practice. Thanks a million! On Tuesday I had the blessing of working with a deeply traumatised client who presented with low self esteem, violent mood swings and anxiety with occasional panic attacks. This client had suffered constant verbal and physical abuse over a period spanning just over 10 years. Although she had tried talking therapies the actual cause of the trauma had never been addressed. She actually thought she had dealt with the issues and they did not bother her, her initial consultation she thought was around PMT but as I gently questioned and unpicked her problems my gut feeling told me they we're connected to something much deeper. Once it was clear, tears flowed freely in a very positive way, I reassured her this was a good thing and actually a sign that these emotions and trauma had not been dealt with, how they were actually putting the brakes on her life still and how wonderful did she think she would feel to not have them weighing her down so she could fly again and truly be herself once more. So without her going into too much detail, keeping her calm and relaxed, we pinpointed three key times from the beginning, middle and end of those ten years as the pointers we would use for the Rewind Technique ... I had identified her main modalities and used these for her special place, which was a local beauty spot she loved and often walked round. She had quite a problem allowing me to guide her, as she had a block with being directed and being looked at by a male directly linked to past trauma ... I gently coaxed her using neutral terminology along the lines of how nice it would feel to allow her eyes to close and she was in total control of her journey into wonderful, beautiful, deep, healing relaxation. Once she closed her eyes and was taking those deep breaths she relaxed very quickly, she was able to see the TV screen hovering above her, which is where she put it and through the double dissociation see herself calmly watching the screen, fast forwarding and then floating back into her special place, then into the screen and on super fast rewind through all three key events, to a point just before and just after when all was calm and normal once more. Well what can I say other then WOW!!! When I reoriented her it was obvious we had unhooked the tether to that past trauma, she was visibly much calmer and laughing as she sang a song her tormentor used to tap out on a wall and sing to summon her to him, this was a song she could not bear to hear. Seeing her so happy and changed actually had a very strong emotional impact on me as I was visibly chocked too. It was an incredibly profound, powerful and positive experience. I qualified way back in 1988 at 21 years of age, running my practise for 18 months, I was told at that time I was the UK's youngest qualified and practising Hypnotherapist. I got the chance to play American Football in the states at collegiate level and for some reason never picked up the reigns again, though the interest remained. I requalified 2 years ago with Chrysalis through Notts University but was still trying to cling to the outdoor sports environment I had run a successful business in but was forced to step away from. I was doubting my abilities even though I had been put forward for a distinction and more course tutor very kindly emailed me when I did not get that distinction to say I was the most naturally gifted Hypnotherapist she had seen in 15 years of practicing and teaching, her words meant way more then that distinction, yet still I held back! Well 2016 is the year I launch my new practice and let people know that I am here to help them gain positive lasting change in their lives. Thanks to you Mark and your superb training materials not only am I confident that this will help change the lives of many people I am blessed to work with but that it is indeed my true calling, along with motivational speaking and writing beautiful words for beautiful people. If you are reading this and are unsure about taking that step into the unknown or wrestling with self doubt in your own abilities, then please use me as an example or PM me so we can share our journey together as we lift, heal and inspire those around us. We can't move forward looking back but we MUST accept the responsibility we have been gifted to help others with such life changing tools. Thanks again Mark and Roger, you will find me asking many questions and contributing here frequently to better myself and help others on their journey also ... Uncommon you most certainly are ... I look forward to taking more courses on that quest to be an exceptional practitioner. I completed the Rewind course over a year ago and it's been a huge benefit to my clients. I tend to work with people who have experienced past abuse and the Rewind Technique has really helped to relieve their trauma. I have almost completed the How to Lift Depression Fast course now, as sudden onset health issues put me out of the picture for most of last year. I have a diploma and certificate in hypnotherapy along with a background in psychology and have been self employed for three years now as a counsellor, life coach, and hypnotherapist. I have found the courses at Unk to be so much better in terms of content than those I paid $1000's for. The course content and materials are excellent and very detailed and the courses are structured in such a way that the information is easy to learn and implement. Highly recommended. One word ... fantastic! I have been a full-time Clinical Hypnotherapist (Australia) for 11 years and I am always looking at adding an extra string to the bow. Or maybe just wanting to be the best therapist for my clients. I have just completed the Rewind course and have found it to be very good. The content is informative, relevant, and easily understood. The provided resources are very useful. Overall, this course is value for money and I'd recommend to any Hypnotherapist who is serious about helping clients who are living with PTSD or trauma to get their minds around the Rewind Technique. And if you don't have marketing confidence, then the Client Attractor Pack could be the cherry on top. - Brett Cameron, Newcastle, Australia. I loved the Rewind course and highly recommend it. The structure is well thought out and easy to navigate. The content is engaging and informative and is great value for money. What I found particularly useful is the access you have to the course (up to a year after enrollment). This is brilliant if you need a refresher or clarification on a certain point. This course has helped me develop as a practitioner who can confidently treat phobias and PTSD. Thank you! - Gary Baker, Counsellor, London, England. The Rewind Technique addresses the very core of human tragedies. So stunningly simple, it should be put in the town water, sprayed on the crops, included in school curriculums for the benefit of the human race. Who needs Big Pharma when there's the Rewind Technique. The Rewind Technique is brilliant in its simplicity and is taught very competently by Mark and Roger at Uncommon U. They couldn't be more encouraging or supportive and are obviously passionate about their work. Couldn't recommend the training and the trainers more! - Pauline Brennan, Counsellor & Psychotherapist, Wicklow, Ireland. After completing the Rewind Technique course, I am now able to offer my clients a fast, stress-free way to deal with anxiety, PTSD, etc. The course was both comprehensive and easy to follow. The support available is excellent. My first client saw a significant improvement after one session. She had a history of severe childhood abuse and suffered from extreme anxiety. After the first session she no longer feared leaving her home, which had been a significant barrier to her leading a normal life. She continues to progress and now sees possibilities in her life. Subsequent clients have also reported significant improvement from session 1. I have had success in helping people who were suffering from panic attacks, anxiety, and fear of public speaking. I have used similar NLP techniques in the past, but not with the same level of success. Thank you for this wonderful tool. I highly recommend the course for anyone working with people who suffer from anxiety and PTSD. - Janice Hughes, Hypnotherapist and Master Practitioner in Neuro Linguistic Programming, Brisbane, Australia. The thought put into designing the course was remarkable. There were plenty of diagrams and charts to drive the points home and provide a clear visual understanding of the technique in action. The course was exceptional in its entirety. If you are thinking about taking the Rewind course and are the least bit skeptical, don't be. The first client I treated with Rewind had a 20-year phobia of rodents and had adverse reactions to even the mention of the words 'rat' or 'mouse'. She could not view rodents on television either, for it caused a tremendous spike in her anxiety levels. During the interview part of our first session, her anxiety reached a level of 8 when I mentioned that I would be asking her about rats! I hadn't even officially started the session at this point! After we did the Rewind, she still displayed some nervous tension, but when I graded her on a scale of of 1-10, she was between 2 and 3! A 2 was our actual goal. She couldn't believe it and wanted to test. I pulled up an entire page full of rats online not knowing what to expect. She sat in front of the computer and began to nonchalantly comment on some of the more gross pictures (rats giving birth, dead rats, rats with giant yellow teeth, etc.) and even joked about a baby rat being cute! This was crazy. Thirty minutes earlier, I couldn't say the word 'rat' to her. Now she can see them online and laugh about it. We were both amazed. Next, I will treat her for OCD. She's excited to begin. I am now actively looking for trauma sufferers to treat. Everyone else that treats trauma is so into CBT and EMDR that they are ignoring the most POWERFUL technique that we have to treat PTSD, OCD, anxiety, and phobias. The best part is that the Rewind is still relatively unknown to the public and even to quite a few therapists. Many of the therapists that have heard of Rewind are so stuck in their old ways that they refuse to acknowledge Rewind's profound power. This presents a massive opportunity to smart and open-minded people like us. For the first time in many of our lives, we have the chance to actually be trailblazers and leaders in our field! This is an incredible opportunity to take charge, become financially secure, and fulfill a sense of purpose in life. We can be responsible for making Rewind known to the entire world! Please take the Rewind course. You will be glad that you did! - William Johnson, Certified Emergency Hypnosis Trainer, Chicago, Illinois, USA. This is an excellent course that allowed me to feel completely at ease with an essential technique that had previously intimidated me. The technique has worked well on spiders, a woman who was gang-raped by 3 older guys at age 16, a car accident. etc... The people report knowing the memories are back there somewhere but not really being able to access them as before and definitely not having old emotions. I highly recommend the Rewind Technique as an integral part of any therapeutic toolbox! - A.D., Hypnotherapist, Paris, France. Rewind Technique is an excellent tool to have in your therapy room to work with clients' unwanted traumatic memories. It's a very safe technique. I have learnt abridged versions before. But this version is much more complete. Thanks Mark and team for bringing together a very comprehensive training package. - Anne Clarke, Clinical hypnotherapist/counsellor, Adelaide, Australia. I enjoyed The Rewind Technique course immensely, it's totally relevant to what I do on a day to day basis. I especially liked the mix of theory and video learning. It fired me up to get out there and try a few things and I was really happy (and more comfortable practicing) when I received my first lot of really positive feedback - results, results, results - that's what it's about. I had a client who hadn't flown for nearly 25 years. We took a little time to go through periods of turbulence and fear that had affected her. She texted me from Portugal a week later - it was one of the best texts I have received and one of the best she has sent, I expect. I was also able to Rewind over Skype to an ex Royal Marine who was working in the Alps. He sat and relaxed in his Land Rover somewhere up a mountain and we worked through things which he has found really useful. I thought this would be especially testing but worked great. - Shaun Maloney, Coach and Hypnotherapist (Hypnocoach), Kent, UK. I find that with most people it will either get rid of, or significantly reduce the fear or phobia in just one session. Once you know the technique, you can confidently 'fix' simple fears, anxieties and phobias with confidence. I use this technique often, and have used it for everything from simple problems such as nerves about giving a presentation at work, to more complex problems such as childhood abuse, to long term 'known traumas' such as getting lost as a child, to straightforward phobias such as fear of injections. Learn it, and you'll have a great tool for your therapy tool box, which is flexible and adaptable for different clients and different situations. It also shows a client, very quickly, how you can begin to help them with life-long problems. I once did the technique on a recovering alcoholic, who had a childhood memory of a chair being thrown out of a window by an angry parent. It had haunted him for 50 years. It was gone in 20 minutes. He couldn't believe it! - Emma Disney, East Sussex, UK. I only gained my qualification in the last 12 months and at the time of completing my course I was seriously lacking in the confidence to get started for real. Three of your courses further down the line and I now have masses of confidence and have started my practice feeling utterly calm, ready and able to handle my clients, knowing I can really help them. I have gained so much from your courses in a very short time and everything makes so much more sense to me now. I just wanted to say thank you so much! 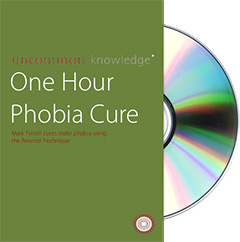 However, having said that, I wasn't madly confident so I did manage to convince the training company to allow me to use the Rewind Technique on one of my final case studies although we hadn't covered it on our course, for a spider phobia. I remembered it virtually word for word from when you used it to remove my Spider phobia over 14 years ago on an Introduction to Hypnosis course and I downloaded the script from your website for back up. It worked beautifully and about a week afterwards my client ran up to me in the supermarket, threw her arms around me and excitedly told me how she had been able to easily handle a spider for the first time in her life. Obviously I knew about the Rewind Technique before doing this course, but had no idea just how many problems it could help with. Onwards! - Eddy Farrar, Hypnotherapist, Dorset, UK. I have really enjoyed being part of The Rewind Technique course. The information provided is so thorough that I now have 100% confidence in helping my clients with phobia and PTSD. The sessions are very well presented and easy to follow, which is essential as there's a lot of information to absorb. - Janice Bowles, Hypnotherapist & Life Coach, Thame, UK. Examples of use of the Rewind Technique: 1. Female, 18yrs about to totally give up college and subsequent University offer because of a very strange and quite complex phobia triggered by certain cars and (even more bizarrely) people with a certain appearance. Single session and she was transformed. She is still fine and at University (18 months on) 2. Man 41. Fear of elevators (after being trapped in a lift and a helpful fellow passenger shaking the car and talking about plunging downward) - Session and telephone back-up. He later visited NYC and went to both the Empire State Building and the Rockefeller centre. - Michael Keay, Hypnotherapist, Psychotherapist, NLP (GHR Reg) (DHypPsych). I used rewind for an actor with stage fright who had been working as a plasterer for 3 years as he could not face auditions or any kind of acting. He had one session where I used rewind. He cancelled his following appointment as he was doing an audition and is now back on stage. I have also used rewind for several people with flying phobias. All have since flown happily. One all the way to Australia and back. - Lesley Cruickshank-Robb, East Sussex, UK. Ah - the rewind. One of the most powerful tools in the box and invaluable for dealing with phobias and trauma. Used in conjunction with scaling it never ceases to amaze me when I ask the client (who had scaled at a 9 or 10 beforehand) to rescale after using the rewind - most often there is a pause while they search deep inside to where that old fear was before admitting that they just can't locate it because it's gone. And the real beauty of the rewind is that it's so effective so quickly. - Graham Firth, Surrey, UK. The entire concept captured me as it is a fantastic tool that could especially help the vulnerable ladies I work with. I liked the relaxation exercises that could help anyone and the dvds/recorded sessions where the technique is being used. I found that the conference calls were very useful as they gave me the opportunity not only to learn but the chance to ask questions that related to my profession. - Lisa Taylor, Violence Against Women Support Worker, Glasgow, UK. I have used the rewind extensively. It has been the most effective tool I have found to date. I recently worked with a lady who had had a car accident three years previously. Since this time she had lost her confidence and subsequently lost her job as a Deputy Headteacher. Upon exploration with her, it became obvious that she had severe symptoms of PTSD. I used the rewind technique to unhook the strong emotional reaction she had about the event and other linked events. At the end she was amazed how different she felt. She had tears of joy running down her face as she exclaimed she had not been able to feel at peace like this since the accident happened. She never looked back and never reported another flashback again. She was claiming compensation as a result of the accident at the time and a week later I received a letter from her solicitor asking me about the techniques I had used as they had heard what a difference it had made to my client and they were interested in applying it to other similar cases. The other bit of feedback I can think is that often when I am using the rewind technique, clients show clear signs of being in REM which lets me know they are actively creating a new template in the brain. This is always helpful to see but I have still had very effective results even if people don't show REM overtly. - Sally Ann Brown, East Sussex, UK. I must say that I have found your support with course-related matters and my personal circumstances to be of an exceptional standard and do so appreciate your prompt, helpful replies to queries. I have referred many of my colleagues (in SA and UK) to Uncommon Knowledge and have encouraged them to do your courses. We especially need more practitioners who know how to competently apply the Rewind Technique in South Africa given our high (violent) crime rate. - Kevin Suter, Registered Psychologist, South Africa. As a therapist the rewind technique is invaluable to my work. It is not just the fact that it is quick and effective but the gentleness of the therapy is wonderful. I have used it to help clients move on from devastating, sometimes horrific, past events which have plagued them for years, e.g cases of child abuse. Without the rewind technique, therapy would be much longer and more difficult. On a personal level the rewind gave me my life back. I had suffered with PTSD for over 3 years as a result of an horrific labour. I lived with constant fear, became depressed and avoided social situations and anything to do with babies. Following one rewind session the fear had gone, the cloud of depression had lifted and I felt like I could fly! It was an amazing feeling. The best thing about it was knowing that I could never go back to feeling that awful way again. - Veryan Cooper, Aberdeenshire, UK. I have had some amazing results with the rewind and how it frees people up to move on from fear, it is an indispensable tool in my kit bag - for most people it brings about immediate results which astound them. - Nicola Preston Bell, West Sussex, UK. The rewind is a fantastic technique. It makes me feel extremely effective and confident when working with post traumatic stress and phobias. My personal experience of the rewind is having my spider phobia completely cured. I can now put them safely outside without any stress rather than beg someone else to deal with it for me while quaking in another room! So far as a therapist I have used it to cure 3 spider phobias, a snake phobia, a rat phobia and a height phobia. But without doubt the most rewarding use of the rewind technique has been working with trauma and freeing clients of the misery of post traumatic stress. These include: A male client in his mid 40's who had been suffering flashbacks and nightmares due to childhood sexual abuse; a woman who following a fall downstairs resulting in severe injuries was waking 9-10 times every night with flashbacks; a woman still suffering the effects 5 years on of a 14 year abusive relationship; a woman still stuck in severe grief 2 years on from her baby dying in traumatic circumstances; and an air hostess who had suffered a life threatening medical trauma in flight resulting in a flight phobia. In every case using the rewind provided immediate, profound and lasting relief in a single session. Having worked in mental health for 12 years before retraining as a hypnotherapist, I can say it is definitely the most valuable skill I have ever learned. - Alison Ward, East Sussex, UK. When first taught the principles of the rewind, it seemed hard to believe anything so simple could address a lifelong phobia. Since then, though, I've lost track of the number of people who have found their lives bettered by it. People with phobias of spiders, lifts, moths, needles and even ghosts have safely, comfortably and quickly seen their fears fade using the technique. I would unhesitatingly recommend it. - D. Johnson, Middlesex, UK. As a therapist, I have personally found the rewind technique to be a very versatile tool and effective, particularly in the phobia arena. In the last 12 months I have used the rewind technique to eradicate dozens of specific phobias, including "fear of flying", "fears of wasps and spiders", "fear of stuffed animals", "fear of walking up open staircases" and "fear of driving on the motorway". I have also found that after using the rewind technique on specific memories that panic attacks related to this memory often disappear. In addition to this, I have also successfully used the technique to alleviate anxiety related to anticipatory events such as exam nerves. It is an essential part of any therapist's toolkit. - Nick Meredith, Cambridgeshire, UK. Many people have to compromise the way they live their lives because of fears, phobias, or the traumatic effects of bad experiences. Some may even believe they have to put up with these forever. However, all phobias, fears and traumas can be treated, and usually very quickly. We believe the Rewind Technique is the most effective way to do this. We use it time and again in our practice, successfully lifting the most severe, lifelong phobias, often in just one session. We have also used it to deal with traumatic memories arising from such things as miscarriage and bullying. The fact that the technique allows these memories to be dealt with in a safe, respectful and non-intrusive way is very important, both to us and to our clients. The difference the Rewind Technique can make to people's lives is truly remarkable. It is an indispensable tool for any therapist. - Ian Sherred and Rebecca Welch, Southampton, UK. After experiencing a head on collision I had the rewind technique done which allowed me to get back into the car and drive again without any problems as well as the flashbacks and the nightmares stopping! I also recently treated a lady who has a fear of flying, her husband had been working in France and she could not go and visit him for over six months due to her fear. After one session using the rewind technique she was looking forward to the trip she had booked and said she was amazed at how relaxed she felt about the flight, even when on the flight there was turbulence, she was fine. - Kate Callow, Bedford, UK. I have had great success with this technique especially with a client who had a fear of heights. I recently heard back from them saying they were able to climb to the top of the Eiffel tower on a visit to Paris. A very powerful technique indeed. - Tom Ewings, East Sussex, UK. I must say that I love using rewind as I have full confidence in its extreme effectiveness. - Margaret Walsh, West Sussex, UK. I'm very satisfied. Thank you all for all the effort and detail, examples, candor, etc.... This is my kind of language. I want to use this technique. In future I want to work with PTSD/Trauma victims. I'm ex military and see the need for something more effective than what is being used now in the US. I am currently doing an internship in a substance abuse residential facility and many of the clients have PTSD/Traumas that I believe caused the substance abuse in the first place. Very good course. I would definitely recommend this to others with similar aspirations as myself. - Mary George, Mental Health Counsellor Intern, St Petersburg, USA. I thoroughly enjoyed the Rewind Course. I did a tremendous amount of reading around the subject and now feel confident enough to practise. My first client cried the whole time she spoke to me on the phone, she cried throughout an introductory chat in my therapy room. She told me that as soon as she opened her eyes every morning, she cried and once started, the tears stayed with her all day - even at work. After a Rewind treatment, she said she felt relaxed, a feeling she had forgotten since childhood. Before treatment she had scored 10+++ when she left she was a 6, I was a little disappointed thinking it was not going to work. However, a week later she scored between 2-3 and was waking feeling more positive with no more tears! Her words were, 'This is amazing for me!' Thanks to you both for the way you have constructed this course, it has been amazing for me too! This technique represents a value in itself to any practitioner but it also has proved a benefit in its inherent character to induce innovation in combination with other approached to related problems. In particular, it is useful to see you apply the technique. - Jack Herron, Consulting Hypnotist, Ontario, Canada. How does the Rewind Technique compare to other trauma treatment approaches like EMDR (eye movement desensitisation and reprocessing) or EFT (emotional freedom technique)? Both these techniques use the same principle as the Rewind - that is approaching the traumatic memory while staying detached from it. What the Rewind adds is the key factor of relaxation which protects the client and increases the success rate of the technique. Keeping the client relaxed helps ensure they are comfortable and aids in proper reprocessing of the memory - basically the message to the brain is that if the body is relaxed while this memory is being encountered, it can't really be dangerous. The mechanisms in the human brain that prioritise and record trauma. How you can treat much more than medically diagnosed PTSD and phobias. The key to the rewind's profound effectiveness. Discover how the Rewind Technique's process of dissociation was developed and compare it with other treatments. Learn how to relax your client; and see why the Rewind is the most effective psychological technique in the West. Then we will help you grasp the Rewind Technique's eight steps with the help of a few usual 'uncommon' fun, learning tools! Learn the RIGAAR model; a tried and tested structure for an effective session. Understand how to build rapport with your client and guide them to expecting a positive outcome. We will guide you through additional skills that will complete your ability to conduct an effective session when using the Rewind Technique. Can anyone use the Rewind Technique? We recommend that the technique is only used by qualified psychological practitioners with some experience in using the voice to relax clients. Which is why we have added an option above giving a discount on the Uncommon Hypnotherapy course. Is the the Rewind Technique supported by any efficacy research? I promise you will be astonished at the results you get treating your next 3 traumatized clients after completing the course. And that they will feel much better after a single session. You are the judge. If you don't agree this is the case, simply ask and I'll refund you. The Rewind Technique course provides 9 CPD hours. "I would definitely recommend this to others with similar aspirations as myself..."
"I have referred many of my colleagues (in SA and UK) to Uncommon Knowledge..."
"I now have 100% confidence in helping my clients with phobia and PTSD." "It is a fantastic tool that could especially help the vulnerable ladies I work with." "Really good to have a structured tool or method"
"I found the open-ended questions quite a lot of work which was very valuable for me"
"This technique seemed the best and quickest method to helping people"
"Single session and she was transformed." "Learn it, and you'll have a great tool for your therapy tool box"
"Ah - the rewind. One of the most powerful tools in the box and invaluable for dealing with phobias and trauma." "I have used the rewind extensively.� It has been the most effective tool I have found to date." "As a therapist the rewind technique is invaluable to my work." "I have had some amazing results with the rewind and how it frees people up to move on from fear"
"It is one of the most powerful techniques you can work with"
"I have also used rewind for several people with flying phobias. All have since flown happily." "My personal experience of the rewind is having my spider phobia completely cured." "I've lost track of the number of people who have found their lives bettered by it [The Rewind Technique]"
"I have personally found the rewind technique to be a very versatile tool and effective, particularly in the phobia arena." "The difference the Rewind Technique can make to people's lives is truly remarkable." "After experiencing a head on collision I had the rewind technique done which allowed me to get back into the car and drive again"
"I have had great success with this technique especially with a client who had a fear of heights." "I must say that I love using�rewind as I�have full confidence in its extreme effectiveness." "I would definitely recommend you to anyone who felt they could benefit from hypnotherapy." "After her 2nd session...she felt a lot calmer, even though she was sitting and pigeons came close." "I used the Rewind Technique on a client with Haematophobia ...After two sessions, her relationship with food had totally changed." "Sound knowledge based on sound research presented in a clear no nonsense sort of way. I am looking forward to future courses."